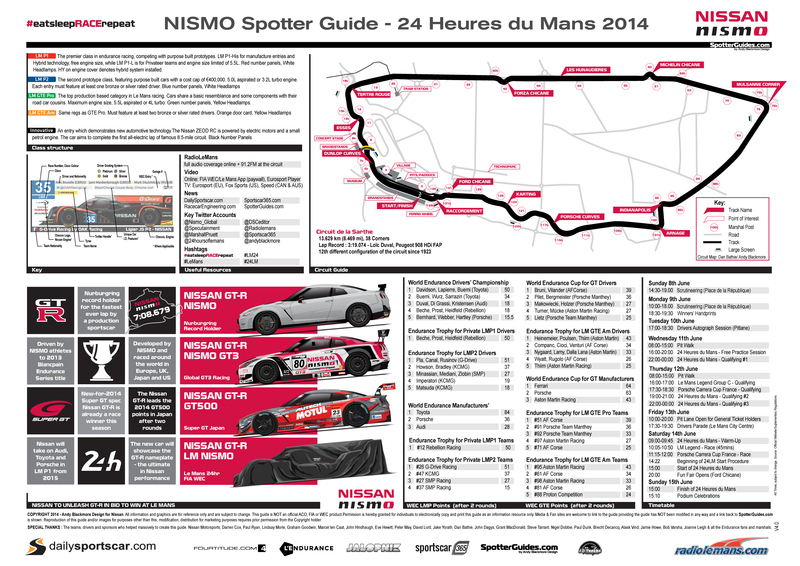 Version 4 (Post Qualifying) of the Nissan NISMO Spotter Guide for the 24 Heures du Mans 2014 is now available as a free High and Low resolution download. 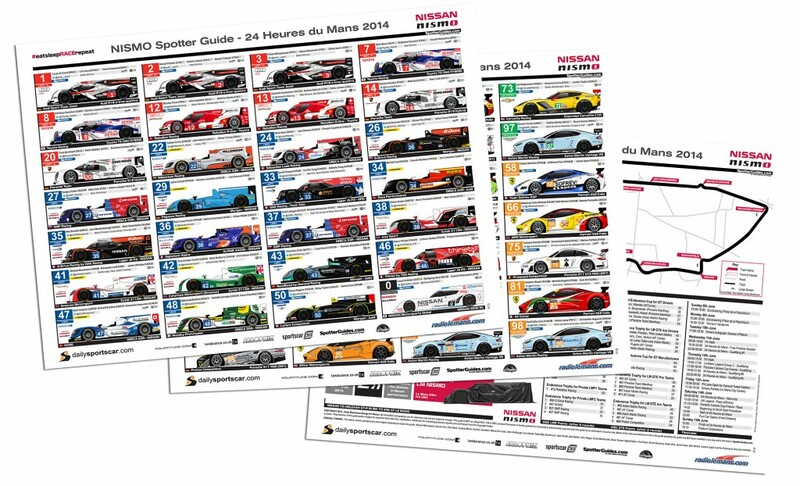 The guide features all 56 cars, team, chassis, engine and driver details along with a timetable, map and current WEC points standings and is the perfect tool for watching at the circuit or from home.Each car has been illustrated in detail, with the assistance of virtually every team. 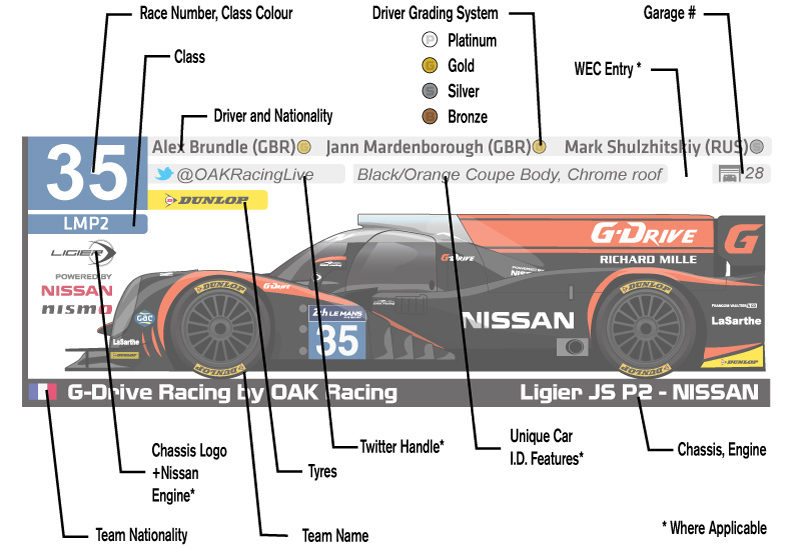 Thanks to these teams, we have the most up to date visual guide available anywhere including the official App!! Version 4 has many changes including Marc Gene back at Audi, Pierre Kaffer at Ferrari and Sebastien Crubilé at Weathertech ProSpeed, all after accidents. Version 4 also has Marshal posts added to the map. (Full change list below). 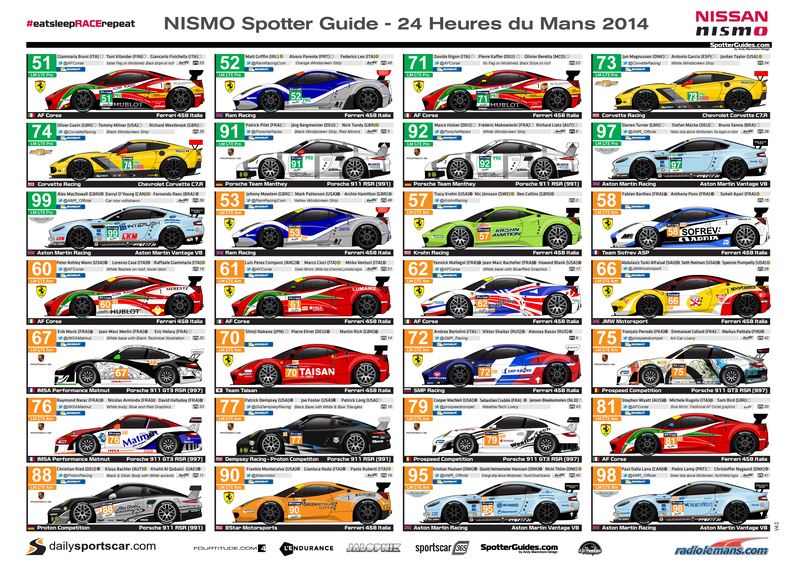 This should be the FINAL version of the guide which is available in a variety of formats. The largest size is a 3 page A3-A2 size PDF, and 3 separate JPEG’s (4500pixels wide) which is perfect for desktop wallpaper and large printing. 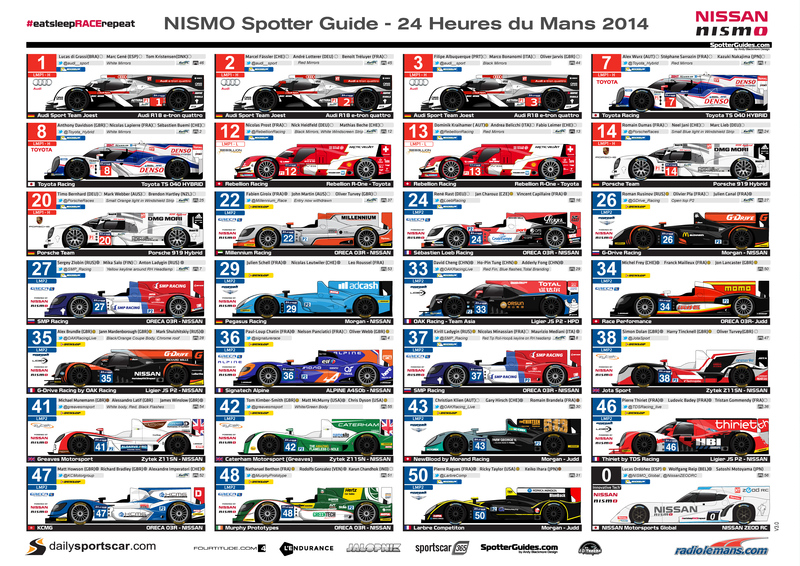 A smaller A4 size PDF is available in High and Low resolution. The A4 release is great for home printing and also viewing on a mobile device. Please feel free to share the guide (please link to this page rather than the PDF as links may change with update). Please respect the copyright notice and do not modify the guide. 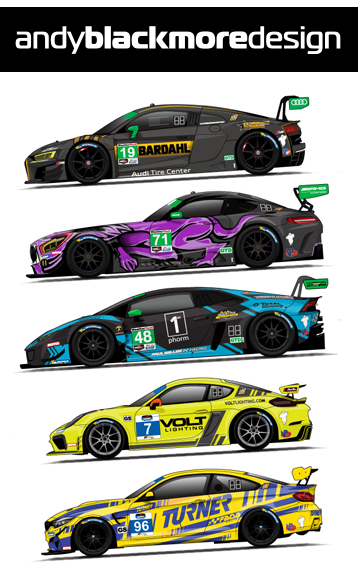 Thank you for the media partners who help to spread the word including DailySportsCar, RadioLeMans.om, Fourtitude.com,L’endurance, Sportscar365 and Ten-Tenths.